Warning - this is a sewing post, not a book post - but it does mention the word 'story'! 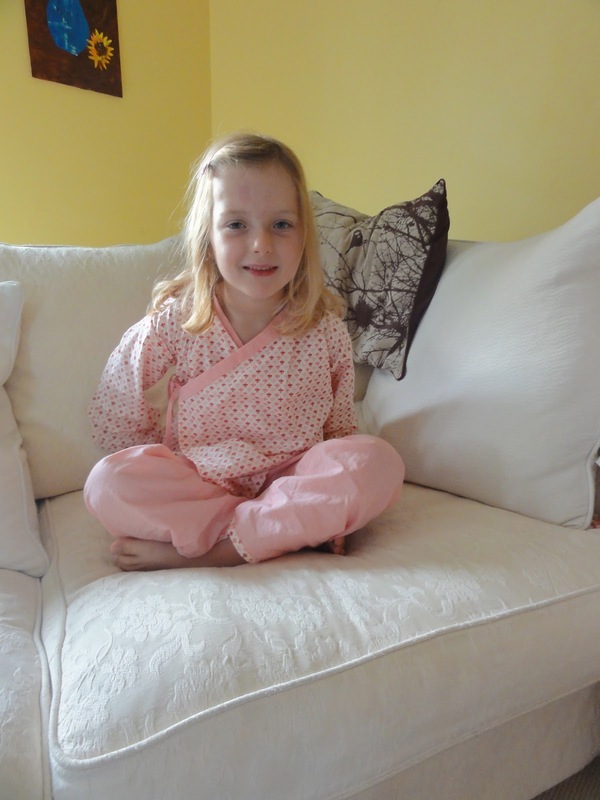 This week I have sewed three pairs of pyjamas for my kids, each one a little faster and neater than the one before. I have used this pattern, Oliver and S bedtime story pyjamas, before but I was stuck on the neckline, and just hashed it together so it would hold. This time, I floundered a bit for for the first pair for Joe, but managed to work out my error with the next pair for Tom. Then I sewed Annalise's pjs in one day, over a few hours! I knew it was me - I have used Oliver and S patterns many times before, and the patterns are always, always correct. I just needed a good night's sleep and fresh eyes - plus a cup of tea and some early Easter egg chocolate! - to gain some perspective. I did have Tom's striped blue material at home but I bought the other fabrics from Duckcloth - they have such a lovely range. Last night, when I checked all three chickadees before I went to bed, they were all tucked into their beds, sleeping in homemade pyjamas. I want to remember this when they are teenagers, and will only wear black and grunt at me! A thought-provoking post. i goona know very important things from here.